His real name is Olateju Oyelakin. But he is more popularly known by his stage name, Teju Baby Face. Several years ago, he started out his acting career with a lead role in the blockbuster movie, Diamond Ring, making headlines at the time as the next big thing waiting to happen in Nollywood. That wasn’t to be as the movie roles Teju was hoping for just never came. Undaunted and determined to make his mark in showbiz, Teju soon moved on and found himself in the comedy business, a profession in which he made a pretty decent impact, having learnt from some of the best names like Basorge Tariah Jnr. and the king of Naija comedy, Ali Baba. Soon after, the hyperactive and extremely creative young man came up with the Teju Baby Face Show and with it, he has made an impact which can only be described as phenomenal. The show has had on parade some of the biggest names within and outside showbiz, the latest being former president Olusegun Obasanjo. Teju’s tenacity, wits and intelligence have enabled him to attract these big names to the show, coupled with his uncanny ability to relate well to the older generation. Now, he has found himself another calling, which is mentoring and it is so very dear to his heart. He has authored his first book, SECRETS OF THE STREETS. You only need to go online to have an idea how massive the impact he has made is. 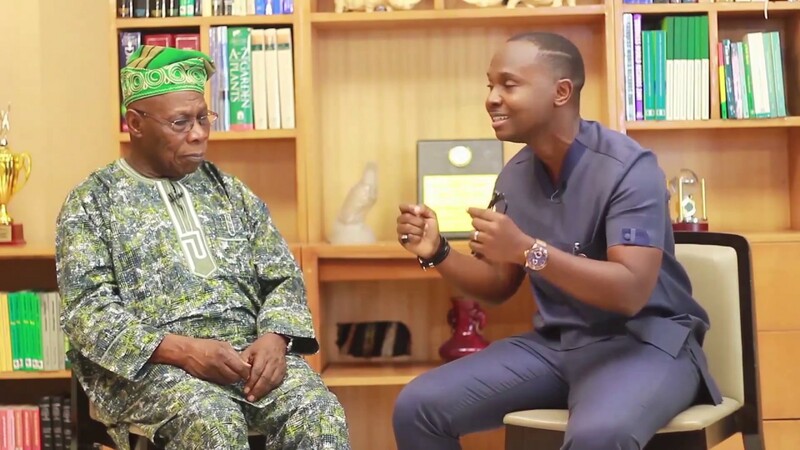 A couple of weeks ago, City People had quite a revealing interview with the very engaging Teju Oyelakin inside his tastefully furnished Maryland office. Here’s the first part of the refreshing interview that lasted over an hour. The Teju BabyFace Show has become a phenomenon. Clearly, no other comedy show comes anywhere near it. How did you come up with the whole concept and how were you able to hit the ground running with it? (Laughs) People’s memories are a bit upside down. My comedy career was difficult. And the public was the reason why. They now think of me fondly. Since I removed myself from the stage now and they no longer see me, they have now developed some sort of fondness and ask, why don’t we see your comedy anymore? They forget that when I was a comedian they didn’t exactly make it easy for me. What I had when I was a comedian was a cult following. There were those who really liked me and liked my brand which was corporate Nigeria because they wanted a comedian who could carry across his humour without having to resort to pidgin and all that. But corporate Nigeria is just a small part of the market, the biggest part of the market was the rest of Nigeria. And they didn’t think I was really funny. Every time I came on stage it was like I had to convince the audience over and over and over again. Haba! It was during one of those frustrating experiences that I figured that I had to look for another way to express my talent. I felt that going on stage and doing comedy was not the best expression of my comedy talent. So, that was when the idea came. I thought, why not do a teevee show that could allow you do that? So, we started. And with the help of people like Tade Ogidan, Muiz Banire, Fola Adeola, Tunji Ogunwusi, we were able to not only come up with a show but we were also able to put it on television. It was very difficult. It still remains quite challenging. But there’s favour and there’s grace. You’ve had on that show some of the biggest names within and outside of showbiz. How have you been able to pull this off? You keep bringing them on the show one after the other like there’s a long queue of them waiting to take turns on the show? Grace again. You have to find your area and you have to stick to it, no matter how difficult it gets. In a short while from now, you’re going to see former President Obasanjo on the show. We went to Abeokuta to interview him, so let me use that as a case study. I was just sitting on my own, minding my business one evening when somebody called and said wouldn’t you like to speak to president Obasanjo? I was like, ah! Wouldn’t I like ke? I would sell two of my staff for the opportunity. And the person said take this person’s number, he’s close to Baba. I called the person and he said just come to Abeokuta on a date we agreed on and he said just bring your equipment just in case. And that’s how I quickly coupled equipment together and headed to Abeokuta. In fact, the proof that I didn’t even fully believe in it was that I didn’t bother to call my sound guy, so when you watch that episode you will see that we had to subtitle because the sound wasn’t the best. Not that you can’t hear him, but it wasn’t the best. But that’s how much I didn’t believe it would happen. We got there, and within an hour we had interviewed Baba and we were out of the place. So, it’s grace. Now, when you find your place, you find grace and favour. Of course, the fact that you’ve found grace and favour doesn’t mean it won’t be difficult. It will be difficult but you just have to keep on keeping on. Another industry giant that everyone knows you admire and have tremendous respect for is RMD. Share with us a bit about your relationship with him, did that relationship start on the set of Diamond Ring or before? (Smiles) Bros na bros now! I just wanted to be RMD when I was a young man. He just represented for me what a man was supposed to be. So, I couldn’t believe my luck when I landed on the set of Diamond Ring and he was to play my father. But the relationship didn’t grow to what it has become simply on the strength of that. What really solidified it, like I said, was when Amaka Igwe cast me in a soap opera called Solitaire. And then, RMD was again going to play my father! So, when we met on set he was like, ah, again? That was when we began to build our relationship. It’s a relationship I’m blessed to have. He’s actually a secret keeper for me on several levels. If things happen to me in life and I needed to tell a few people, he’s actually one of those who would hear first. How about the likes of Ali Baba, what role did he play in your coming into comedy when you were actively involved in it? Before I met Ali Baba, Basorge Tariah Jnr. was the first person who trained me. And it was because I trained with Basorge that I could find the favour to now be trained with Ali as well because Basorge’s training was what got me into A Night Of A Thousand Laughs where I met Basket Mouth who now introduced me to Ali Baba. Between those two gentlemen, Basorge Junior and Ali Baba, they basically formed my training for comedy. Tell us about mentoring, how did that part of you evolve? At what point did you discover that you could do this and do it so well? Quite by accident, really. I was just thinking about my life and the challenges I was facing on the Teju Baby Face Show one day and I’m like, why is it so difficult? And the answer to why is it so difficult got me to write a whole message, a very deep and revelatory message and I was like, what? Where did all these come from? And it came so easily that I just kept writing. And I’m looking at the message and I’m like any motivational speaker or pastor would be proud to present this anywhere. And then it didn’t stop. It just kept coming and kept coming and it came with far more ease than comedy or script writing or acting had ever come to me. In fact, it came with so much ease that the problem was how to shut it off. So, I had started to watch the principal inspirational speakers of the day which were mostly pastors. I began to enjoy watching them and soon realized that I ached to stand where they were standing to say what they were saying. I stopped watching comedy. I didn’t want to be a comedian anymore. it didn’t hold any interest for me anymore. I began to buy DVDs of pastors and teachers and preachers, that was all I that interested me. And if you want to know what your calling in life is, those are two things that tick the box for you: first of all, what you’ve given up, and second of all, what you’ve used to replace that which you’ve given up. And how has the response been? What sort of vibes have you been getting from your target audience which consists largely of the youth? It’s been amazing (smiles). They now call me a mentor. Something that God just told me barely a year ago. And with all humility, when did I just start this thing? Go online now, I challenge you. Go online now and run a poll and say, who is the mentor in Nigeria, I’m sure I’ll rank somewhere high in that. So, it’s basically what God showed me.